Most Los Angeles and Southern California business owners and entrepreneurs do business with one or more different vendors and suppliers. These vendors may provide goods, services and raw materials that are essential to the manufacture of a company’s products or delivery of its services. Unfortunately, many owners fail to negotiate with their vendors to receive favorable credit terms. This can lead to a wide range of different problems for Southern California businesses — from poor cash flow to the failure to receive critical raw materials when they’re needed, resulting in delayed product shipments, unhappy customers and lost sales and revenue. § The company is cash poor so it doesn’t have much leverage with vendors. § The owner isn’t aware that most vendors offer credit terms to customers that qualify. § The owners and executives are inexperienced and/or uncomfortable when it comes to negotiating. § The vendor contract is negotiated in isolation, without taking advantage of leverage that can be gained from other aspects of the relationship with the vendor. § The company does not yet have a history with the vendor, so it hasn’t yet earned the vendor’s trust. 1. A lack of raw materials or needed services — If a company cannot afford to pay for raw materials or services right now and does not have credit with a vendor, it may not be able to receive the very ingredients that are essential to manufacturing its product or delivering its services. 2. Unfavorable payment structures — Cash on delivery (or COD) for raw materials or services is bad enough. But some vendors require advance payment from customers without credit, which can significantly affect a company’s cash flow. 3. Poor choice of vendors — Sometimes, companies choose less-than-optimal vendors just because they offer some level of credit, even if the supplier isn’t the most qualified vendor available. 4. Inefficient use of cash and poor inventory management — Some vendors require guaranteed minimum payments from customers without credit. This will tie up cash unnecessarily and could result in inventory over-purchases. The first step in obtaining favorable credit terms with vendors is to make this a negotiable item when discussing supplier contracts. This way, credit terms are viewed from a holistic approach, rather than in isolation, and are considered along with all the other aspects of the vendor relationship. For example, if a vendor is hesitant to offer credit terms, you could maybe give in on some other aspect of the contract that’s not as important to you. Perhaps you could lengthen the delivery time, for instance, agree to a minimum purchase volume, or maybe even pay a slightly higher price. By negotiating credit terms as a key component of the vendor contract, you are settling this important item early on in your relationship with the vendor so it doesn’t become a sticking point later. Also keep in mind the fact that asking for credit terms is not an out-of-the-ordinary request for a company to make. Most vendors are happy to consider granting terms to their customers and have in place procedures for running credit checks before granting credit. This may include filling out a credit application and listing several referral sources the vendor can contact to ask about your company’s payment history. An outsourced CFO services provider can help you in your efforts to obtain favorable credit terms from your vendors. Outsourced CFOs have experience helping small and mid-sized firms obtain vendor credit, so they are comfortable in these types of negotiations. They are also familiar with different financing methodologies that may enable both your company and your vendors to meet your specific financial needs. Most companies do business with one or more different vendors, but many fail to negotiate favorable credit terms with them. This can lead to a wide range of problems, from poor cash flow to the failure to receive critical raw materials when they’re needed. The key to obtaining favorable credit terms with vendors is to make this a negotiable item when discussing vendor contracts. This way, credit terms are viewed from a holistic approach, rather than in isolation. 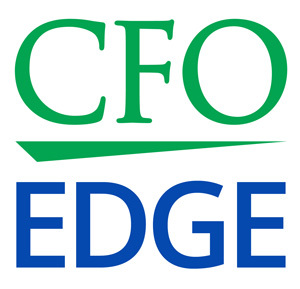 An outsourced CFO services provider can help you in your efforts to obtain favorable credit terms from your vendors.